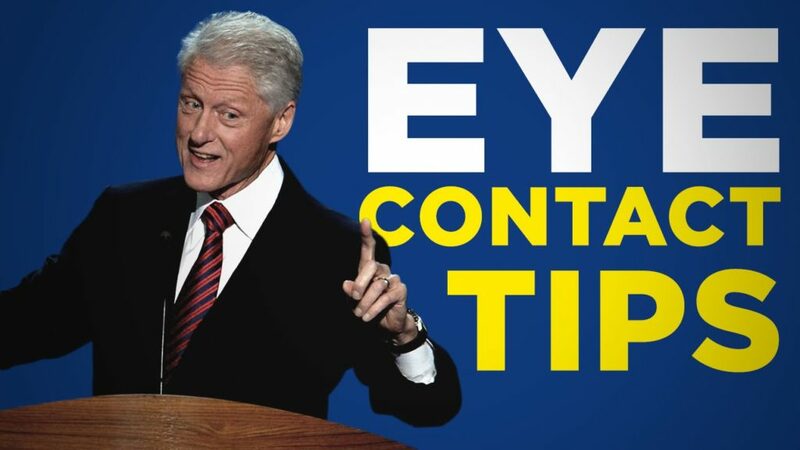 People who have spoken with Bill Clinton generally agree on one thing: He made you feel like you were the only person in the room and he gave you his complete attention. Did you notice the shot where they cut to George Bush Sr.’s look of bewilderment ? I guarantee you not one person in the audience noticed his reaction. We only did because the camera forced us to. Everyone was focused on Clinton because of the way he held contact with the audience. He was looking at one person, but his actions resonated with the audience more than any perfect answer could. Take these lessons to heart, and they will have a profound impact on the way people interact with you. Bill Clinton doesn’t use any tricks, he simply cares about who he is talking with and what they are saying. He takes a genuine interest in you. You couldn’t escape from his eye contact even if you tried. He did this in every interaction. He would be at a bustling social event, and still make you feel like you were the only one in the room. I’m sure all of us have experienced the situation where you are talking to someone in a crowded room — and that person is shifting their eyes, looking for a more important person to talk with. Not with Bill. He never seemed to judge who you were. He made you feel special. He made you understand he cared about what you said.